Efforts are now underway to raise the funds necessary to ensure the historic Red Cross flag remains in Australia and you’ll find details on how you can help later in this article. But what of the men who served alongside it? The State Library of Western Australia (SLWA) has kindly provided me with photographs of the 3rd Field Ambulance C Section taken before and after the Gallipoli campaign. I’d like to thank them for allowing me to share them with you and for additional information used in writing this article. 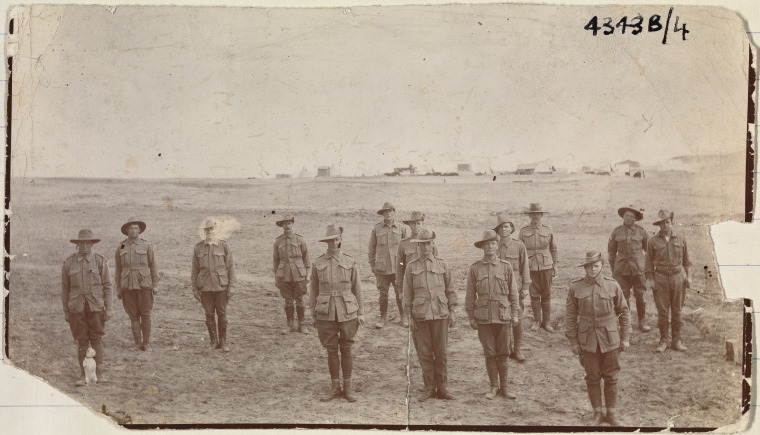 The photograph above was taken in Western Australia and shows the 50 men of the 3rd Field Ambulance C Section. Front and centre is Captain Douglas McWhae, the doctor from Western Australia who raised and commanded the unit. On McWhae’s left is Bugler William Fenwick Roscoe, a 24-year old Clerk from Perth whose diaries and First World War ephemera now reside in the SLWA archives. Private John Simpson Kirkpatrick, “the man with the donkey”, is standing in the third row, second from the right. Kirkpatrick, who served under the name John Simpson, is famously known for using a donkey to transport the wounded from the front to the beach where they received medical attention and/or were evacuated. Simpson was killed in action on May 19, 1915. The second photo shows what remained of the 3rd Field Ambulance C Section after the Gallipoli campaign. Taken in Egypt it shows just 14 men, of whom to date only Bugler Roscoe (front right) has been identified. Gone is Captain McWhae, hit by shrapnel on April 27, 1915 he was to lose an eye and would never return to the unit. He was eventually promoted to Colonel and placed in charge of 50,000 Australians in England. One other important individual, yet to be identified in this photograph is Private Arnold Doyle Kemp, the soldier who presented the Red Cross Flag to Douglas McWhae in early 1918. 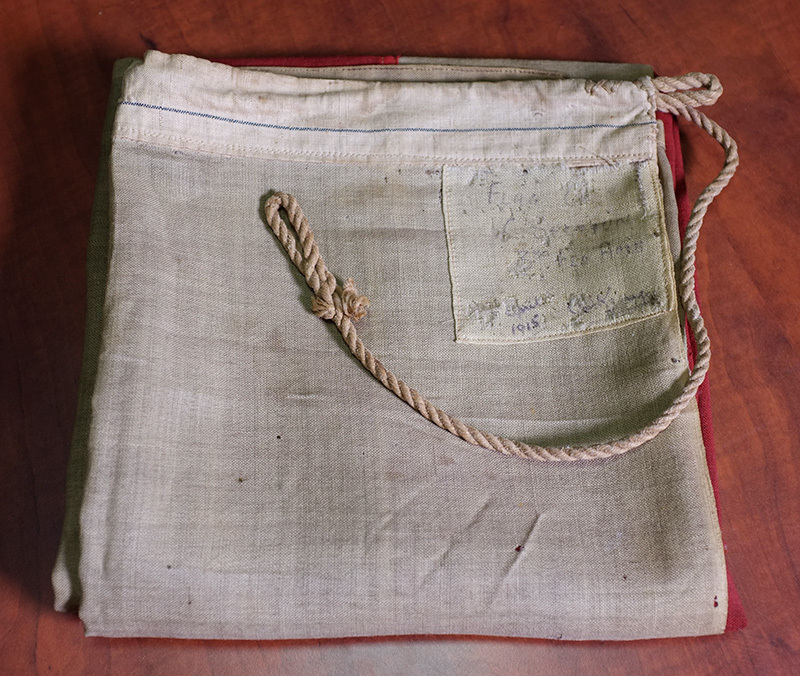 Museums Australia Western Australia (MAWA) is partnering with the Western Australian Museum and the Royal Western Australia Historical Society to raise funds to ensure this historic Red Cross Flag remains in Australia. Less than 74 days remain to raise $35,000 to acquire the flag and to prepare it for display and travel. Donations of $2 or more are tax deductible for Australians. You can donate online via the Australian Cultural Fund website. 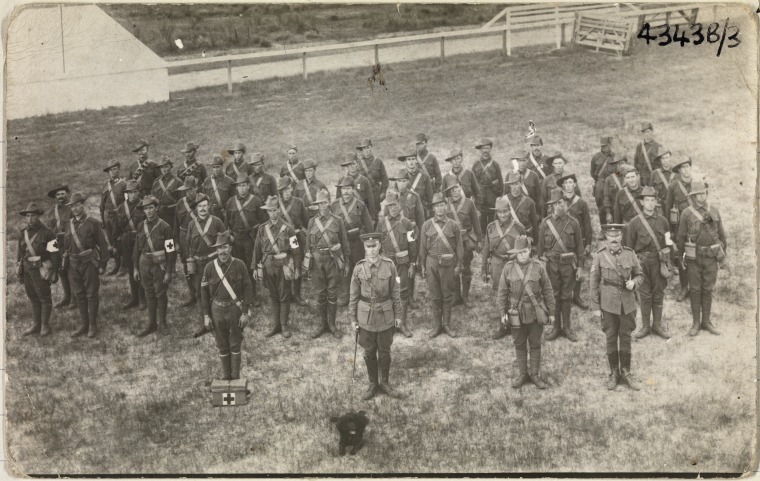 G’day, I think my Great Grandfather, George Rider is one of the 3 men in the front row to the left of Bugler Roscoe. 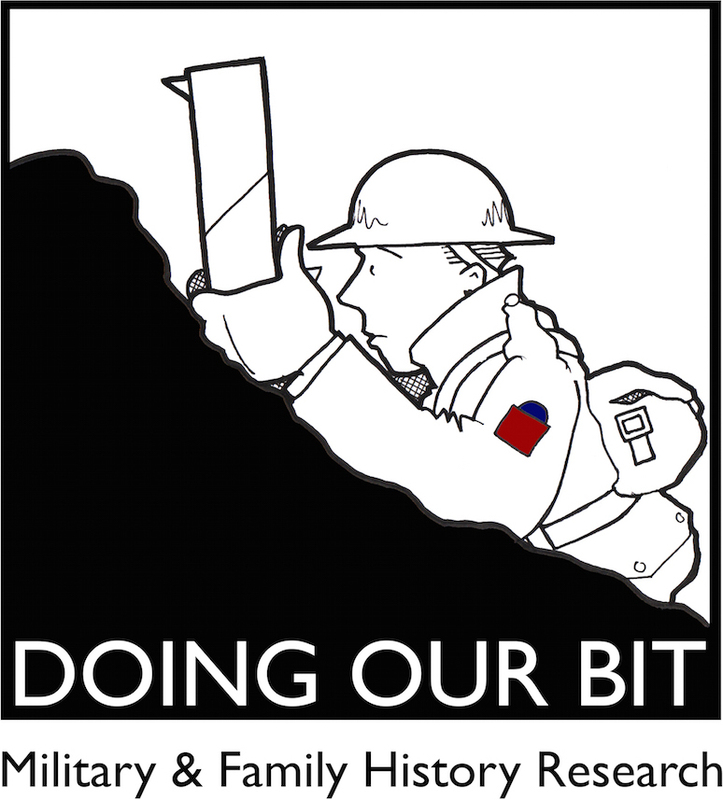 He survived and went onto Europe where he eventually served with his brother in the 13th FA. That’s great news. I assume you’re referring to the post-Gallipoli photograph? I checked out the photo in the link you provided and I’m thinking he could be the middle soldier in the group of three to the left of Roscoe (but you would know better than me!). Perhaps I can ask the State Library to provide a higher-resolution image in order to make identification easier. I’m sure they are keen to identify as many soldiers as possible. If anyone’s’ ancestors saw, met or knew Simpson at Blackboy Hill Camp and/or Gallipoli, I’d be grateful if they would leave a comment. Diary entries or letters mentioning the wounded being transported on donkeys are also of interest. Thanks.